The ANS has an active publication program that began in 1866 with the first numismatic periodical in the United States, and continues today with a variety of publications on all aspects of numismatics. The scope of our publications includes books, conference papers, and periodicals. They range from specialized academic monographs to useful reference works to colorful magazine articles, in order to advance the state of the art in numismatic research, make the latest findings widely accessible to the numismatic community, and introduce numismatics to a wider public. Starting in 2015, all publications are produced in both print and digital editions. If you are an author or potential author, please read our guidelines for submission of manuscripts. Find Open Access dissertations/theses/catalogues/articles in the ANS's Digital Library. Browse/download over 500 Open Access ANS publications hosted by HathiTrust. Learn more about the ANS's legacy Digital Publication Project. The American Journal of Numismatics is a peer-reviewed scholarly journal published annually, containing original research in all areas of numismatics. The Journal of Early American Numismatics (was the Colonial Newsletter) is a research journal devoted to the colonial and Confederation-period coinages of the United States and other countries in the Americas, published twice per year. The ANS Magazine is a full-color magazine published quarterly that presents feature articles on a wide range of numismatic topics as well as keeping members up to date on the Society's work. The ANS publishes two monograph series: Numismatic Notes and Monographs (NNM) and Numismatic Studies (NS). These series comprise book-length works of original scholarship in all areas of numismatics. We also frequently publish books outside of these series, including numismatic research works as well as exhibition catalogues, conference proceedings, and Festschrifts. The papers from each Stack Family Coinage of the Americas Conference (COAC) are usually published in a volume in the Coinage of the Americas Conference Proceedings series. Each book in the series thus represents a set of papers presenting research relating to a particular theme in the coinage of the Western Hemisphere. Numismatic Literature was a comprehensive bibliographic reference to publications in all areas of numismatics from around the world. The final published volume was No. 149. The ANS has published many other works, including some notable series. In the 19th century, the first numismatic periodical in the United States—the first series of the American Journal of Numismatics—was founded by the ANS, while many lectures presented at ANS meetings were published in the Society's Proceedings. In the 20th century, there was a short-lived series funded by Archer Huntington and called the Hispanic Numismatic Series, to publish the coins from Huntington's collection. 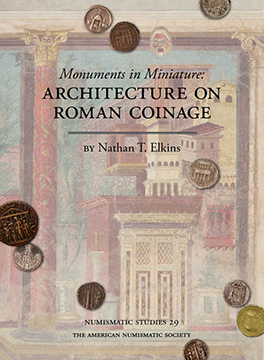 Two series published fully illustrated but tersely described corpora of ancient coins: the Ancient Coins in North American Collections series for ancient coins in significant American collections, mostly private, and the Sylloge Nummorum Graecorum series for coins in the Greek department of the ANS. The latter two have now been superseded by digital technology. The list of all ANS publication series, past and present contains links to all of our publications, from 1858 to the present.